I don’t have TV in my house. Well, I have TVs, of course. I’m not even sure how many I have. I think there are three or four. My kids might have snuck one or two into their rooms. What I don’t have is I don’t have cable TV. I don’t have broadcast TV either. We have plenty of DVDs and a fair number of video tapes still. But, no broadcast television. I don’t know if Kevin Beggs has TV in his house. Considering he is the president of Lionsgate Television Group, I would imagine he probably does. Beggs was the guy who gave the green light to a small period series called Mad Men. You might have seen an episode or two. It made narrow lapels chic again. It won 4 emmeys for best drama on television. And I never saw a single episode. And yet, every year when they won, I’d write an email to Beggs. In the email I’d congratulate him on the win and apologize that I’d still never seen a single episode of his series. How well do you know the people you work with? How important are their goals to you? Do they know that you are interested in them, not just as employees, but as people? I once bought tiny radio control cars for my team. I once ordered a set of USB Missile launchers for my team. . including our intern. Sometimes people criticize IT teams for playing around too much. I think it’s a matter of understanding your teams, even if what motivates them doesn’t motivate you. I’ve worked places that had pool tables, foosball tables, ping pong tables, XBox games. As a young man I enjoyed playing these various games. It wasn’t until later that I understood why those things were there. As a manager, I kept those lessons in mind with my own young team. They didn’t understand why they all got 1/10 scale RC cars as a Christmas bonus, or why we held races in the parking lot during work time. Because, it’s not about what’s important to me. It’s what is important to them that matters. And that’s why I sent Beggs an email congratulating him on a series I had never seen. Because it wasn’t about what was important to me, it was about what was important to him. See Kevin is a Television guy, he has been since we were friends in high school. 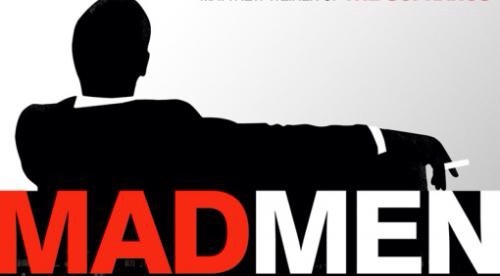 Mad Men is ending it’s 8 year run this month. Kevin reminded me that even though I don’t have TV, there’s Hulu, Netflix, and DVDs. Rodney, if you haven’t seen an episode of Mad Men, it’s because you choose not to. Don’t blame lack of TV. I eventually started watching Mad Men. But, it wasn’t on DVD or NetFlix, or Hulu. It was on a tiny screen on the back of the seat in front of me. I’ve been flying back and forth between Salt Lake City and the east coast. On those long flights from Salt Lake to Atlanta, I get to watch selected TV episodes. I’ve now seen quite a few of the escapades of Don Draper and the staff of the Sterling Cooper Draper Pryce ad agency. On my last trip, I realized I’ve travelling maybe just a little too much. . .I’d seen all the available episodes. When the final episode shows in a couple weeks, I’ll send my friend another email congratulating him on one of the most successful television series in history. And I’ll probably admit that I’ve now seen a few. Because its important to him. So, when you are looking for a way to motivate your team, don’t think about what you want. Think about what they want.